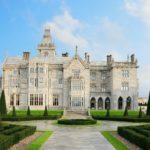 Short Business Description: Egans Flowers is a family owned business operating in Dooradoyle, Limerick which brings together over 28 years floristry experience. 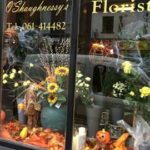 Short Business Description: Every Blooming Thing is a leading florist based in Limerick City which delivers flowers throughout Limerick and surrounding areas. 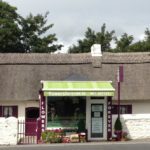 Short Business Description: Established in 1990 and Celebrating over 28 Years in business, Flowers Forever Munster`s first and leading Designer Florist expanded its retail operation twelve years ago when its proprietors Rachel and David Hannon acquired the Old Thatch Cottage adjacent to the busy intersection at Raheen Roundabout. 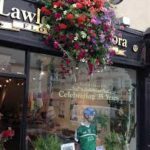 Short Business Description: At Lawless Flowers in Limerick, they pride themselves on the quality and service provided to their customers. All their florists are fully qualified having completed multiple courses with London, Boston, San Francisco, Holland, Austria, Germany and of course Ireland. 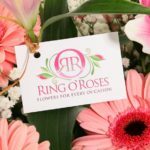 Short Business Description: Ring O'Roses flower shop has been a part of Limerick since 1997. A family-run business, they use only the freshest of long-lasting flowers to give maximum value to their customers and their loved ones.